It is vintage Kissinger, with his singular combination of breadth and acuity along with his knack for connecting headlines to trend lines — very long trend lines in this case. He ranges from the Peace of Westphalia to the pace of microprocessing, from Sun Tzu to Talleyrand to Twitter... A real national dialogue is the only way we’re going to rebuild a political consensus to take on the perils and the promise of the 21st century. 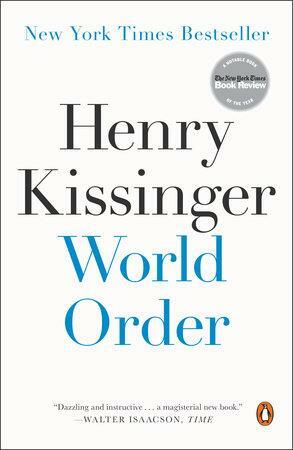 Henry Kissinger’s book makes a compelling case for why we have to do it and how we can succeed.